Democratic values are an explicit part of the ethos at St. Peter’s. All adults listen to the views of the pupils and value their opinions. Pupils are taught to listen to and respect the views of others. Pupils have further opportunity to have their voices heard through our School Council. The elections of School Council are the result of pupil votes and these groups canvas the opinions of their peers. These elections help the children to understand the importance of democracy in securing a fair society where everyone has a voice. The importance of laws and rules are consistently reinforced in the classroom, as well as through school assemblies. Pupils are taught to understand the need for laws: that they are there for individual protection, the responsibilities that this involves and the consequences when laws are broken. Pupils follow a positive behaviour policy and clearly understand the rewards and sanctions that are used. Assemblies and discussions in class focus on recognising right from wrong and visits from the Police, PCSOs, Fire Dept, Child Line and other local community representatives help to reinforce these messages. They also emphasise that we are all equal under the law and that it is not only wrong, but illegal to discriminate against others on the basis of characteristics such as disability, gender, race or faith. Pupils are encouraged to be independent learners, constantly making choices, within a safe and supportive environment. Developing their self-esteem and self-confidence is very important. Pupils are encouraged to understand their personal freedoms and are taught how to use these rights to best effect. All pupils are keen to support charities, whether local, national or global. They are taught consideration for others through the Religious Education curriculum and PSHE lessons in particular. E-safety teaching enables them to make choices in a safe manner. 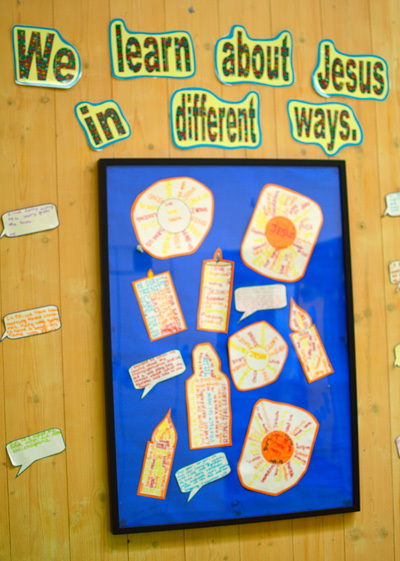 The school’s ethos and behaviour policy are based on Gospel values, with the important commandment being, ‘Love one another as I have loved you’. 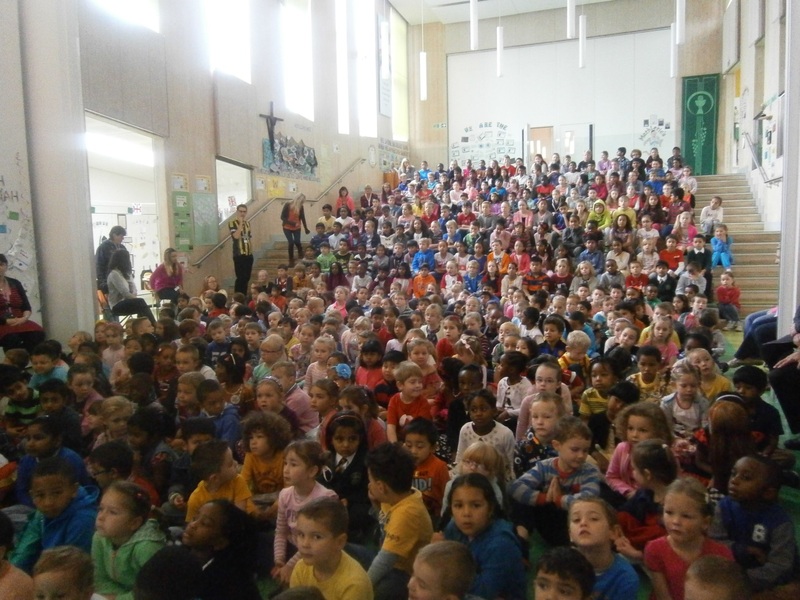 Assemblies constantly promote respect for others and the importance of good manners. All pupils are taught the importance of self-respect, honesty and open communication with others and fair play. Pupils work collaboratively and value others’ opinions. As a Catholic worshipping community, pupils are reminded of their place in a culturally diverse society. This is achieved through the Religious Education curriculum and the spiritual life of the school. Assemblies and class work promote the diversity of society and the right for each person to be respected and valued equally regardless of ability, gender, faith, heritage or race.